The two American Construction whirley cranes round out the American Construction operations. 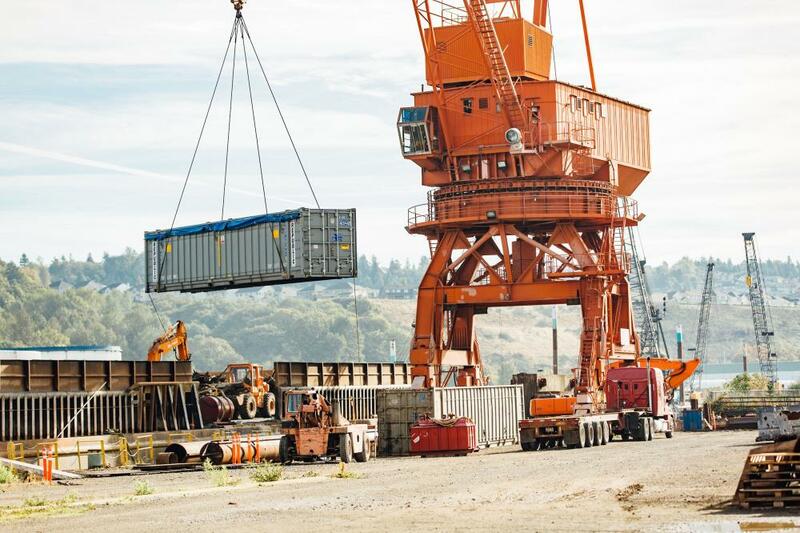 These cranes are able to perform the loading and off-loading of materials and equipment onto barges and trucks. They are great for the trans-ship of equipment and are regularly used for Alaska barge movements. 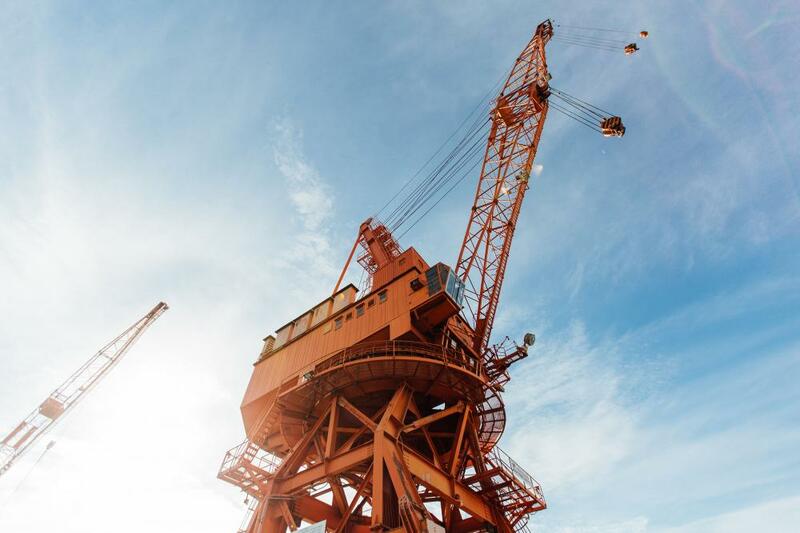 Their main hoist capacity of 170,000 pounds allows for the movement of any shape and size piece of equipment. 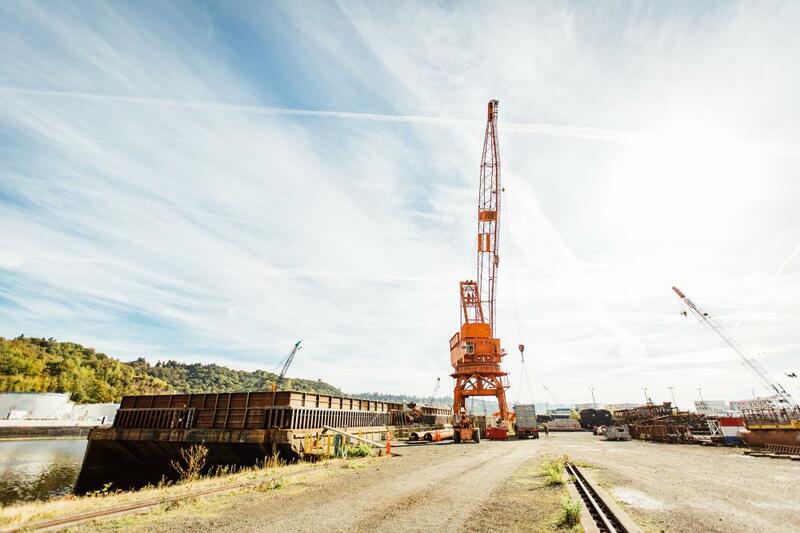 Located at the American Construction Company yard in Tacoma, Washington, their location is ideal for loading near the Port of Tacoma, around the Puget Sound, and the various ports in the area.